Continuing the tradition of using source code from SUSE Linux Enterprise (SLE), openSUSE Leap 42.2 provides a level of stability unmatched by other Linux distributions. 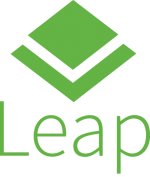 With community-built packages on top of Leap’s enterprise reliability, openSUSE Leap users benefit both from community and enterprise maintenance efforts. Contributions to openSUSE Leap from SUSE include several new features like Network Functions Virtualization capabilities that combines Open vSwitch with the Data Plane Development Kit to process packets faster. YaST also has a significant amount of improvements and new features.